Interlocking Paver are a special dry mix pre-cast piece of concrete commonly used in exterior landscaping pavement applications. Interlocking paving stones are installed over a compacted stone sub-base and a leveling bed of sand. The sand stabilizes the interlocking pavers, yet allows for some flexibility. This type of pavement will absorb stress such as small earthquakes, freezes and thaws, and slight ground erosion by flexing. 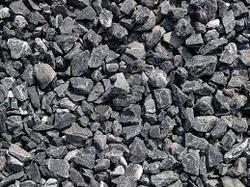 Therefore, they do not easily crack, break or buckle like poured asphalt or poured concrete. Having a definite quality management system, we are regarded as the noteworthy manufacturer and supplier of a distinguished array of Interlocking Pavers to our valuable clients. These qualitative pavers are processed by our experts using ultra-modern technology in accordance with international quality standards. 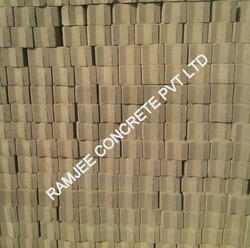 Owing to their quality attributes, these pavers are widely demanded in the market. We are largest manufactuere of hollow Block. 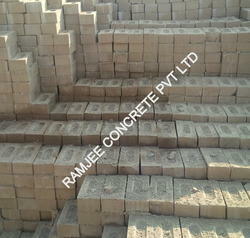 We are largest manufacturer of North India of Cemented Bricks. Interlocking Paver are a special dry mix pre-cast piece of concrete commonly used in exterior landscaping pavement applications. Interlocking paving stones are installed over a compacted stone sub-base and a leveling bed of sand. The sand stabilizes the interlocking pavers, yet allows for some flexibility. This type of pavement will absorb stress such as small earthquakes, freezes and thaws, and slight ground erosion by flexing. 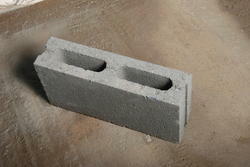 We are offering a wide range of construction material, Fly Ash Bricks to our clients. We are maintaining the quality of product and its worth of money. We have special quality team to final the Bricks. Further, these are available in different sizes and shapes as per the specifications laid down by our customers. 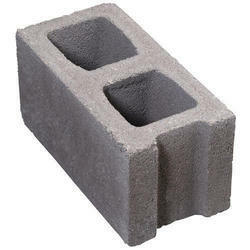 Why Our Fly Ash Bricks? 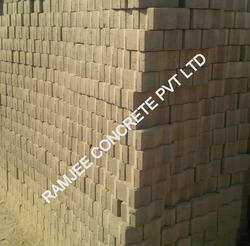 Ramjee Concretes Pvt. Ltd., began its operations in the year 2012, as one of the leading manufacturers, wholesalers and suppliers of this commendable range of Construction Material. 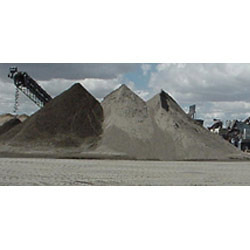 The offered range is made up of the finest Ready Mix Concrete, Crushed Aggregate and Interlocking Paver, having a high preference in the market. Manufacturing of this range is done using high grade raw materials and modern machines, as per the set industry norms and guidelines. This ensures the product's sturdiness, durability and finishing. Further, the offered range is priced at a market leading rate. The highly developed state-of-the-art infrastructural facility at Ramjee Concretes Pvt. Ltd., has been laced with all the machinery and equipment needed for the attainment of several of the firm's predefined targets. The facility parted into a number of highly operational units, facilitates smoother and effective management of the firm's operations. For reasons of attaining a better position in the market and to maximize our productivity, the facility undergoes regular up-gradation. In addition to this, our highly ethical work practices and client centric behaviour, has helped us in generating a huge and highly reputed client base.